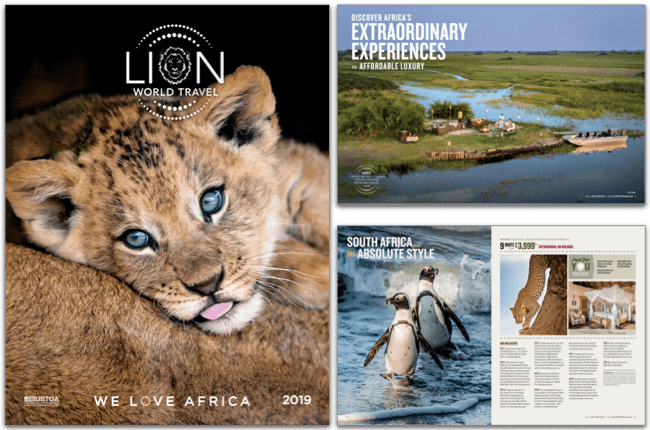 Our 2019 Lion World Travel brochure is here, just in time to help you plan your perfect African safari vacation in 2019! Experience the extraordinary on an affordable luxury African safari. Our signature collection of African safari vacations allows you to discover this vast continent’s scenic beauty, diverse cultures and majestic wildlife. Look for the “Just For You” benefits throughout the brochure to see how we have enhanced your dream safari with additional exclusive experiences. Click the cover below to read our digital brochure. For the best experience on a mobile device, we recommend holding your device in landscape mode while viewing the brochure. I would like to receive information about upcoming Lion World Travel specials and promotions.